It won't be wrong to say that the makers of Udta Punjab went through a roller coaster of a journey, before their labour of love could release in theatres. Right from finding it difficult to find someone to back the film to getting stuck in a CBFC controversy and finally, emerging victorious just two days away from the film's release. Despite all the obstacles that the team successful passed, Udta Punjab finally hit the screens today and we have enough reasons to call it a must watch. Director Abhishek Chaubey's Udta Punjab is dark, raw and edgy drama, which follows the journey of four individuals, whose lives get embroiled in the circle of drugs and addiction in different ways. The film opens with a sequence that well explains the way this highly dangerous substance is illegally imported into the country from across the border. We are then introduced to all the main characters who build the story - Tommy Singh (Shahid Kapoor as a loud and wacky pop star, whose live revolves around music, parties and drugs), Bihari Migrant aka Pagaliya / Mary Jane (Alia Bhatt as a state level hockey champion from Bihar, whose life takes the turn for worse as she is brought to Punjab as a labourer), Sartaj Singh (Diljit Dosanjh as the head strong cop) and Dr Preet Sahani (Kareena Kapoor Khan as a doctor based in Punjab, who also runs a rehabilitation clinic for drug addicts). Apart from the lead cast, there are other important characters played by some fine actors who further make the ensemble cast stronger. 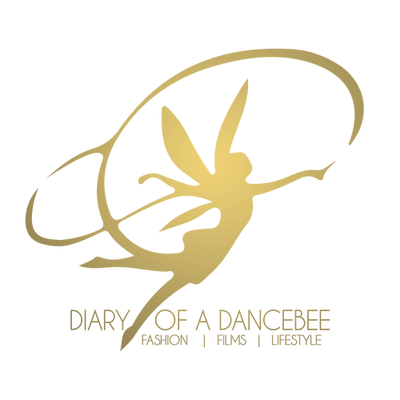 Each character's journey begins on one note and ends on a completely different note. It is this very journey that sets the premise of this film. Despite being high on life and considering himself as the king of the world, Tommy Singh is nothing but a lost soul who has no idea where life is taking him. He depends on drugs to help him get a kick and become the 'Gabru', that he is famously known as. Bhatt's bihari migrant is a dreamer, whose only wish is to live a good life. But, it is during the quest to fulfil this very dream that lands her in deep trouble and changes her life forever. Sartaj Singh is one of the many corrupt cops in the area, who does not care about the ongoings in Punjab, until trouble lands at his doorstep and changes his view of the situation in the state forever. Dr Preet Sahani is a warm and caring doctor, whose only mission is to wipe out this addiction, which has paralysed the youth of her state. But, little does she know that life can unpredictable. Udta Punjab leaves you feeling shocked, surprised and emotional in many ways. Certain sequences in the first half are extremely dark and can, in fact, leave you with goosebumps. As we are introduced to the characters, we also realise how vulnerable they are, irrespective of their stature in the society. This is not your usual candy floss cinema. This is an honest attempt that aims to highlight the problems that plague the state, through the journey of it's four main protagonists and a few other important characters. The treatment meted out to the film is perfect. Director Abhishek Chaubey has used some wonderful techniques to describe the psychological state of every character. The research is commendable and quite eye opening as well. Chaubey keeps the film crisp and avoids unwanted cliches that you may see in any other drug drama. There are no high intensity chases and maar-dhaad here. The scenes that unfold are real and raw. The background score is simply brilliant and we like how the songs are wonderfully woven into the narrative, not making it look abrupt or unwanted. The music composed by Amit Trivedi is very good, and the songs do stay in your mind, even hours after leaving the cinema hall (though I did miss Vadiyaan, which happens to be my favourite song from the film). The dialogues are good, and despite being filled with choicest of expletives, it does not sound gross or out of place. Let's admit it, that's how a lot of people talk. So, no point running away from reality and behaving like we haven't heard people use an abuse each in every sentence. Majority of the film is in the Punjabi and Bihari dialect, hence subtitles have been provided. What's amazing about this film is the way Chaubey has allowed all four protagonists to lead the way. This is not a one hero film. Udta Punjab belongs to the entire cast, who help shape the film with their well researched characters. Alia is as much the hero of this film as Shahid, Diljit or Kareena. Shahid steps in a completely different world as the crazy rockstar Tommy Singh. He gets the nuances of a substance addict right and puts up a controlled act. It won't be wrong to say that this shall add up to his list of best performances so far. Despite all the wrongdoings, you don't hate Tommy, but tend to sympathise and feel for the character. This is the most complex characters of them all and Shahid does complete justice to it. He portrays a lot of his emotions through the eyes and does an excellent job of essaying this complex role. 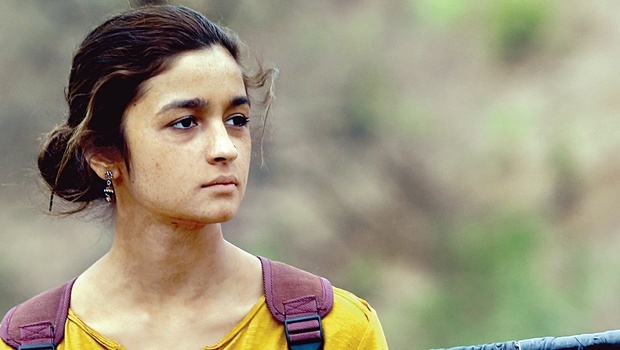 Alia performs well as the bihari migrant. Although she takes time to get into her character and feel comfortable with the dialect, she does well, especially in the second half. You feel for her helplessness and support her for being a rebel. Diljit makes an impressive debut in the Hindi film industry. His portrayal of Sartaj Singh is not your usual "I am a cop and can beat up 100s" kind of machoism. Diljit essays Sartaj in the most honest and mature manner. He emotes very well, which is certainly his biggest advantage. We would certainly love to see more of him in Bollywood. 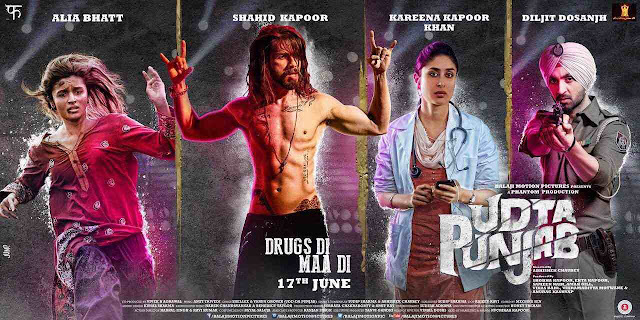 Kareena looks gorgeous as the calm and composed Preet, who is gritty and determined. While the character doesn't give her much scope to experiment, she puts up a fine performance and leaves an impact. The ensemble cast, especially the actor who plays Balli and one of our favourites - Satish Kaushik are brilliant. Overall, Udta Punjab is an honest and brilliantly packaged attempt. The kind of cinema that highlights an important issue without being too preachy. The film forces you to think about the often ignored issues, but does not let your mind wander. Instead, you want to stay glued on, anticipating the next move or scene. Definitely, one of the best films to come out in recent times. The artists deserve accolades for their hard work and honest performances. The film proves that no matter what the budget, all you need is a good cast, a well researched plot and serious faith in your project. A must watch!